ABOUT US: All natural, fragrant, made in USA. Be one of the first consultants! 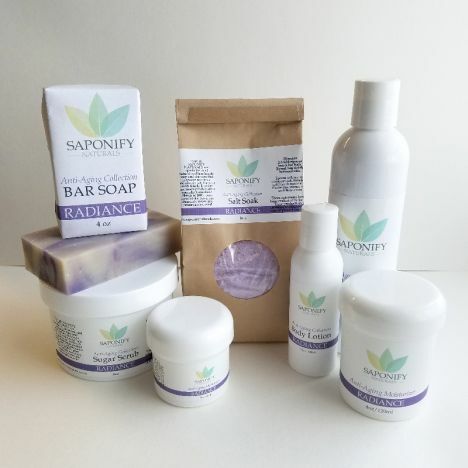 Saponify Naturals makes their own natural and fragrant soaps, skincare, baby products, salves, lotions, treatments, bath products. Made in USA by the company itself. Saponify Naturals has been in business 11 years as a crafter and retailer, now going into Direct Sales. Thank you for visiting FindPartyPlanReps.com! No portion of this site may be reproduced or redistributed in any form without prior written permission of FindPartyPlanReps.com. All key phrases on this site under copyright and trademark protection and may not be reproduced. All trademarks & copyrights remain property of their respective owners.